ALTRA INSTINCT 3.0 REVIEW - AKA "The Compromise"
Someone at Altra is listening, that much I can say. 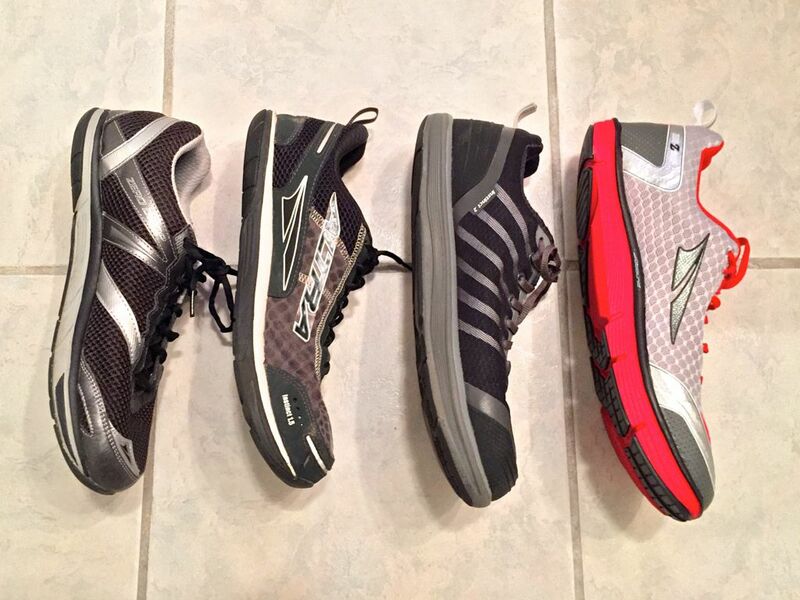 Criticism of the Altra Instinct 2.0 has been addressed in the 3.0 in a big way. It’s taken me a while to review these because I really wanted to get some miles on them, and considering my previous critical review of the 2.0, I wanted to give the 3.0 their due. Out of the box, one of the first things I noticed was that these were leaner, and less bulky than the 2.0, closer in the line with the first and 2nd generation Instincts. I immediately got out my scale, compelled to compare the weight, and was impressed by what I found. Somehow they’ve gotten the weight down over a full oz. from the 2.0 and 0.7 oz. less than the Original. Mind you I take different sizes in all these shoes, but the fit is the fit, and the weight is the weight. Speaking of which, Altra has been a bit of a mess to navigate when it comes to sizing, so hopefully I can provide a reference point. In the Instinct line, with a foot that measures a Men’s US11, I wear a US11.5 in the Original, a US12 in the 1.5, a US11.5 in the 2.0 and now a US12 in the 3.0. For comparison, I wear a US11.5 in the Lone Peak 1.5, US12 in the Superior 2.0 and the original Torin. For some strange reason, on my 2nd and 3rd pairs now in the new black and original gray Instinct Everyday shoe, I’m finding I’m more comfortable wearing a US12, rather than the previous US11.5. Maybe the manufacture changed it a bit? It does seem that with newer versions of Altra shoes, I’m finding a US12 to be the size for me. We’ll see how it pans out over time. 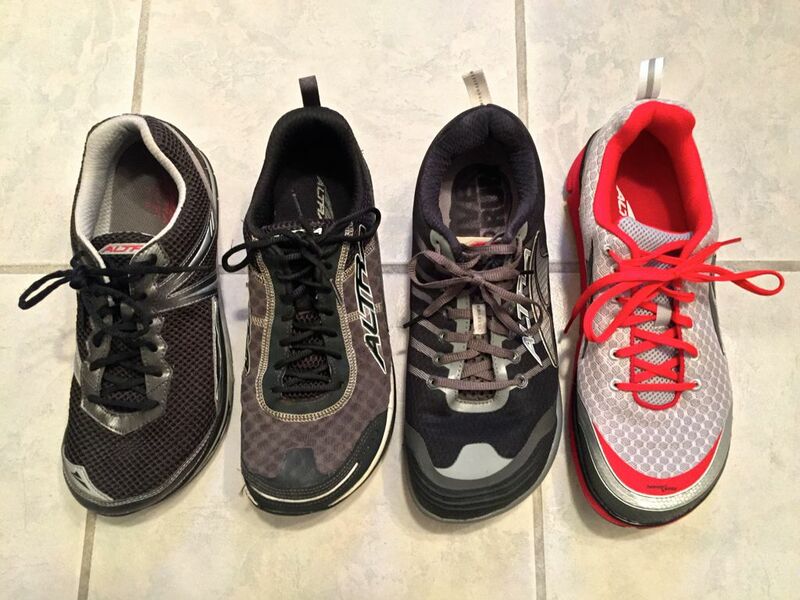 OK, sizing aside, let’s talk fit and cushioning. 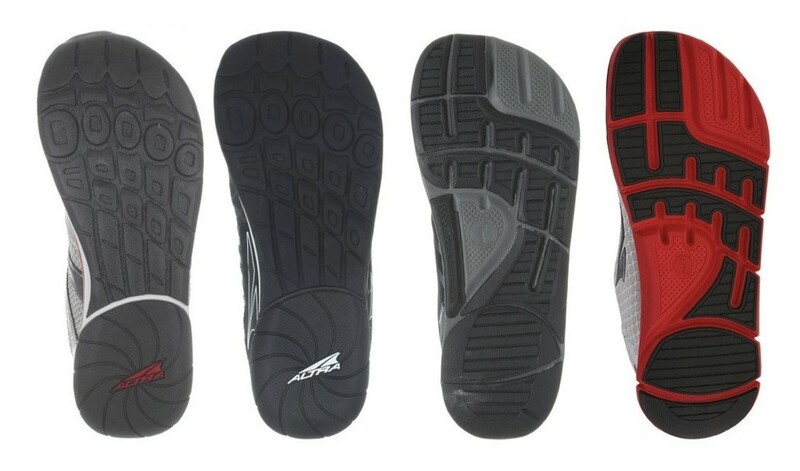 I have to admit a dirty little secret about my previous favorite Altras: I’ve used flat, standard Spenco Insoles in my Lone Peak 1.5’s and doubled up the two insole types (Strengthening and Supporting) that came with the Instinct 1.5. With the Lone Peak, it gave me just a bit more cushioning and with the Instinct it helped make up for some slight volume issues, while also contributing greater cush. Honestly I’ve often felt the Original Instinct was borderline in the cushioning department. With the 3.0 cushioning is not an issue. I feel like Altra has really figured out the right foam density, hitting the sweet spot, offering a firm comfortable ride, but not overly mushy like the 2.0. The fit is also secure, not sloppy, but still allowing freedom of movement. Here’s where I think this shoe could have been named “The Compromise.” As with all previous models you get the signature ample toe box and zero drop, but with the Altra Instinct 3.0 you get a combination of some of the features that were introduced in the 2.0, while reincorporating features from the 1.5. Overall I’d say the upper is much more akin to the 1.5, with a similar honeycomb fabric (which I know had durability issues for some users). The jury is still out on that. I’m on my 2nd pair of 1.5’s and have hundreds of miles on them. It wasn’t really a problem for me, the upper outliving the soles. With the 3.0 the upper is simplified with what appears to be single piece construction and no visible stitching on the exterior. Gone are the chunky heel and toe bumpers of the 2.0 and reintroduced are some nice reflective elements that were missing in the 2.0. The main thing that was retained from the 2.0 is the overall design of the sole, which other than the new density, I can’t say I’m a fan. I really wish they’d just improved on the sole/last of the Original and the 1.5. I love the more hourglass, truer foot shape it had. There have been some improvements though with the 3.0 sole. The stack height is reduced sightly, and as I’ve said, the foam density greatly improved. The wider base is still there, though now a bit narrower, but it doesn’t effect fit for me. What I really don’t like is how this new sole splays out creating more support. “What you don’t like support?” you might ask? No, not in this shoe. If I wanted a supportive shoe, I’d get a Paradigm or a Provision. One of the things that made the Original Instinct, and it’s predecessor the 1.5, great was the road feel and the way it didn’t overly support, it engaged more muscles and strengthened without overdoing it. The new design, in my opinion, props up the foot and gets in the way. 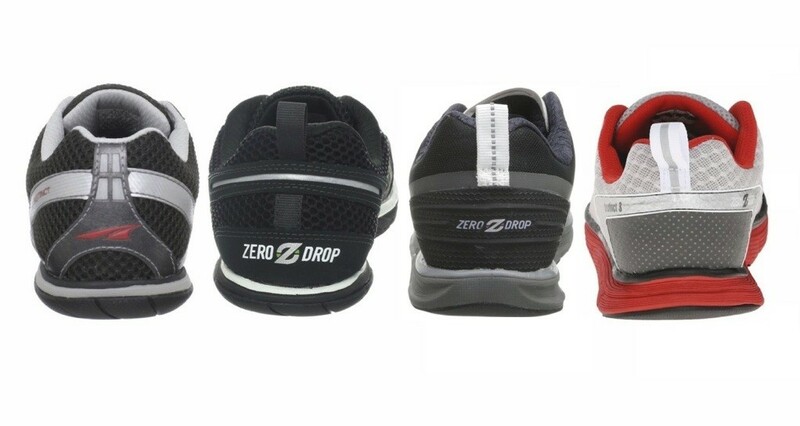 This is where Altra stood apart from the minimalist movement, it provided a shoe that balanced proprioception, with zero drop, a wide toe box and cushioning. It appears support is creeping into the equation, and I can’t say I like it. I do agility exercises to warm up before I run, that include balance work. Balancing, I can tell immediately the difference between a 1.5 and a 3.0. The new sole makes me lazy. I can feel myself relying on it. 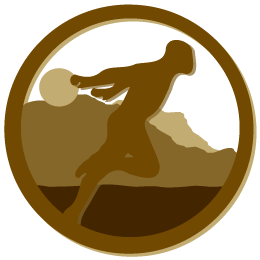 I also have had a greater tendency to catch and roll an ankle, something that never happened with the old sole. Maybe it’s because it’s bulkier, or I get sloppier with the new design, I don’t know. The previous design engaged more of my legs and feet. I want that. I want to be engaged. It’s the whole point. This is where something like the new Skora Tempo gets it right. Like the Original Instinct and 2.0, the sole mimics the shape of the foot, it doesn’t taper out, but rounds under. The Tempo doesn’t satisfy in other areas, but that’s another review. I’ve included a comparison of the heels and soles of all the Instinct models to illustrate what I’m talking about. I think it’s pretty clear how dramatically things have changed over time from the original award winning design. I really hope Altra puts some thought into bringing back what worked about the profile of the original sole. So much of the Altra Instinct 3.0 is great, but the new sole is a major departure from what made the Instinct stand apart, and has been lost in these new incarnations. The new Superior 2 gets it somewhat right, and color me a big fan. It’s narrower at the arch and doesn’t splay out nearly as much in the heel and forefoot. I’ll finish this rant by saying, I just don’t think the Instinct line is the place for a wide base, not in a “neutral” shoe. The long and short of it is I’m pretty pleased with these shoes, having run a couple half marathons and put a bit mileage on them. Unlike the 2.0, I wouldn’t recommend skipping over this model. As an entry level Altra, this is a good choice. I even like the new coloring, opting for the silver and red model over my usual black. An interesting note, on a recent sweaty run, I found the red dye from the inside of the shoe bled through, mildly staining the exterior silver fabric. That was a weird little discovery, but fairly minor. Overall I think there’s room for improvement and will continue to rotate my Original and 1.5 Instincts through my runs. But all in all, I feel Altra is steering back in the right direction with the Instinct line. You guys had me worried there for a bit! UPDATE (FEB 2016): After about 425 street miles on mine, they’re holding up well, showing surprisingly little wear. My biggest complaint, aside from my gripe about the sole and stability, is that the upper just doesn’t hold my foot in place as well as I’d like, especially sizing up to US12. The US11.5 upper was more snug, but the length was just too short. I’ve come up with some lacing variations, and use a thicker sock, to keep my foot from sliding forward on downhills which works OK. I know I said previously that the fit was “secure,” but honestly I’d not run many hills in them at that point. I’m hopeful the new 3.5’s upper resolves this. Not sure exactly what size to order. Maybe an 11.5, maybe a 12…. For complete stats on the Altra Instinct 3.0, visit the Altra web site.